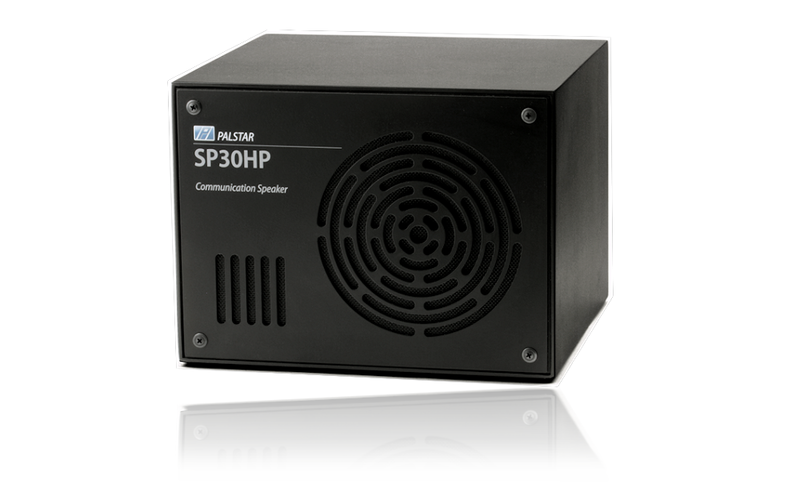 The Palstar SP30HP POWERED is our popular SP30H ultimate communications speaker powered by an internal amplifier. The SP30H is a custom engineered speaker designed to match the sonic characteristics of the human voice. The "H" stands for both high quality and high power, because the SP30H can handle a maximum 30 Watts RMS of audio power, and measuring 11" wide X 8-1/4" high X 10" deep. 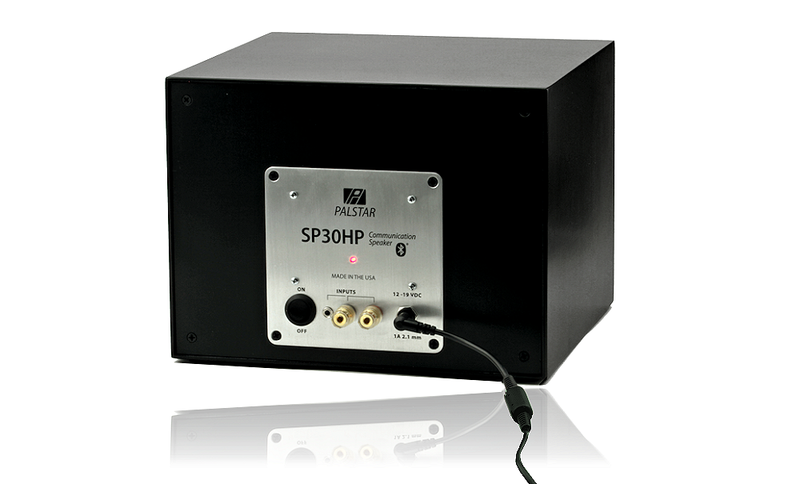 Note: We can also upgrade your existing SP30H to a SP30HP for $100 plus shipping. Please call for details. 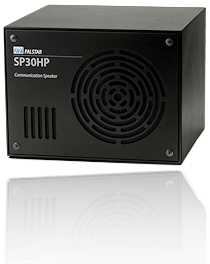 The SP30HP POWERED features a 30 Watt amplifier that attenuates and re-amplfies the high-level amplified signal from your transceiver. The inputs are mounted on the rear of the speaker on a brushed aluminum panel along with power switch, LED power indicator, and wall adapter input. 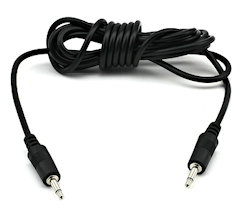 On the rear panel you'll find two input connections, gold-plated binding posts for a wire connection and 3.5mm input from your amateur radio transceiver or other product (3.5mm to 3.5mm cable supplied). A third input is available via a built-in Bluetooth receiver to connect to your Bluetooth-enabled device. The SP30HP Bluetooth ID = PALSTAR. Output is to a single 6-1/2" speaker is optimized for 45Hz to 8kHz, perfect for communications intelligibility, and features a massive 11.6 oz magnet. Stereo or mono signals wirelessly transmited to the Bluetooth receiver are summed L+R for true monaural output. "Simply the Best! 5/5 Over the past 36 years, I have been enjoying the Ham Radio Hobby, the Palstar SP30H Speaker is the best I have ever heard. Over the years, I have had many Speakers. The SP30H beats them all hands down. It helps to make the Stations with poor audio sound better. I now have two of these Speakers in my Shack and my only regret is that I did not buy them sooner - WX4C"
Included with the SP30H Active is a 6' cable with two 3.5mm connectors for easy out-of-the-box connection to your transceiver. The SP30HP POWERED takes communications speakers quality to the next level featuring the richness of a visually satisifying hand-made wooden cabinet and clear sound to your listening experience.